Celebration is on the menu for a York restaurant and takeaway after winning a brace of gold awards in a national competition. 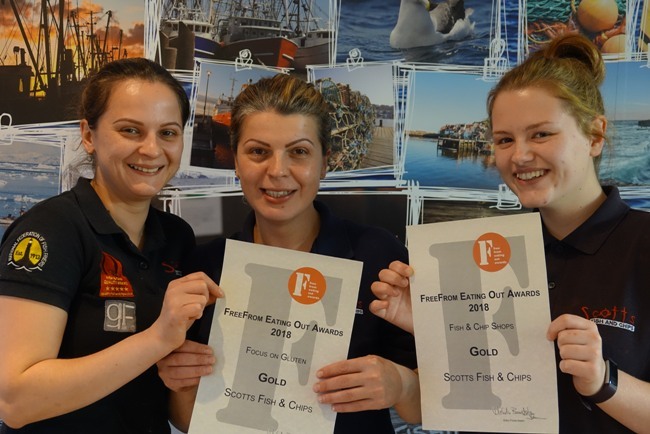 Scotts Fish and Chips tasted double success in the National FreeFrom Eating Out Awards, where it won a gold award in both the Best Fish and Chip Shop and the Focus on Gluten categories. The FreeFrom Eating Out Awards is an annual awards ceremony that was held this year at London Excel. The awards ceremony celebrates innovation and FreeFrom excellence in the food service industry and awards are given out to eateries that understand how to cater safely for food allergic people.